Fly with confidence with Faster, Track-able Metal Check Test Kits! Catch wear before it becomes critical and costly. 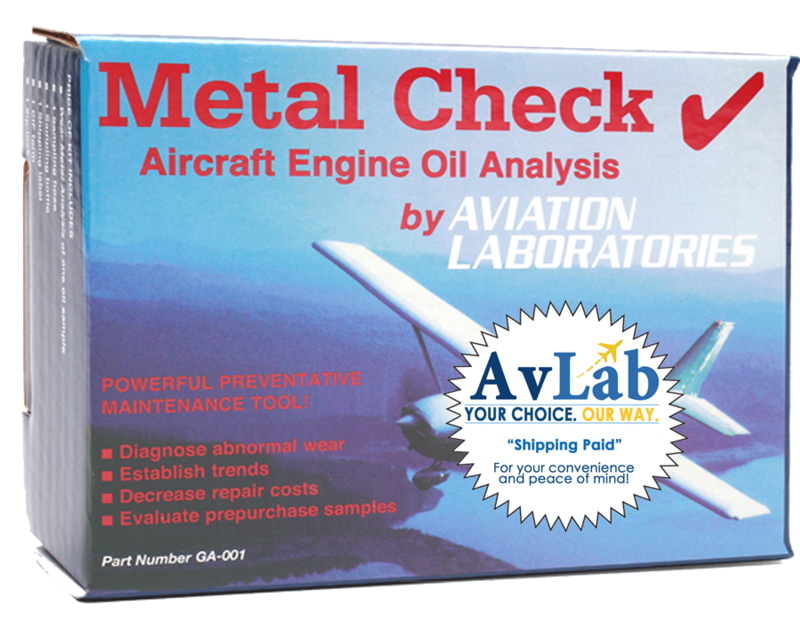 Know your engine's condition, and now faster than ever with Avlab's new, faster, track-able Metal Check test kits. Track your Test Kits NOW! 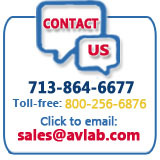 Getting your samples to our lab has never been faster...nor easier! Now with our FedEx Smart Post Shipping Paid Program, you can EXPECT a 5-7 business day turnaround for your samples to arrive at our laboratory facility and while in transit, you can now track your oil sample every bit of the way. Just remember to record your tracking number from your parcel label. See below for tracking instructions. Learn more about FedEx Smart Post Shipping Program. 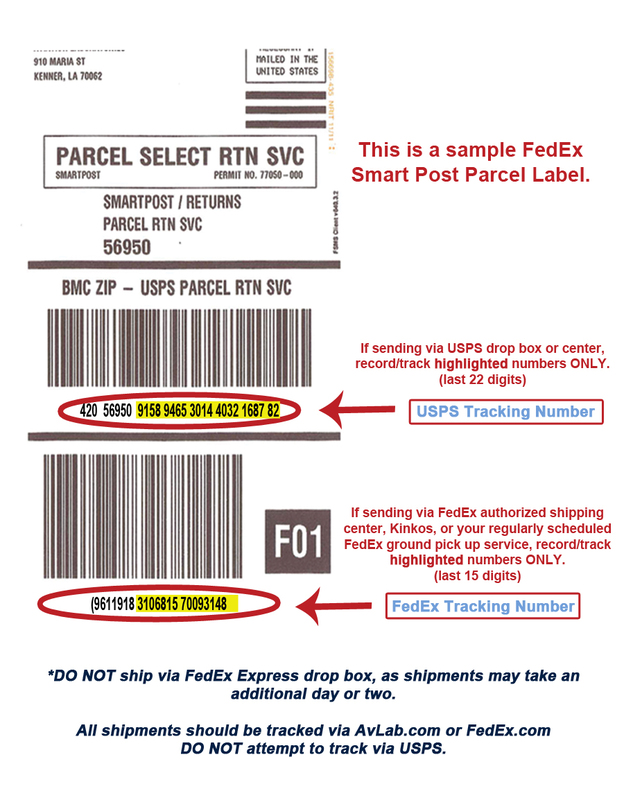 Enter your FedEx Smart Post or USPS tracking number below to track your Metal Check Test Kit.